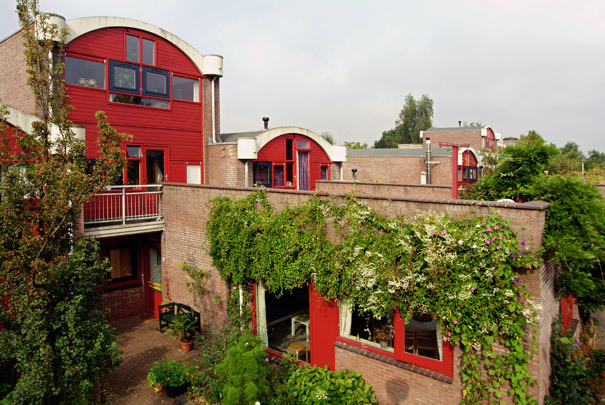 This was one of the first realized development projects for Centraal Wonen (central living), a community of families and elderly and single persons. The block is built up of clusters of four to five dwellings sharing a communal living/dining room. Nine clusters, a meeting hall and a youth club are grouped around a pedestrian precinct. Each dwelling has its own arched roof.